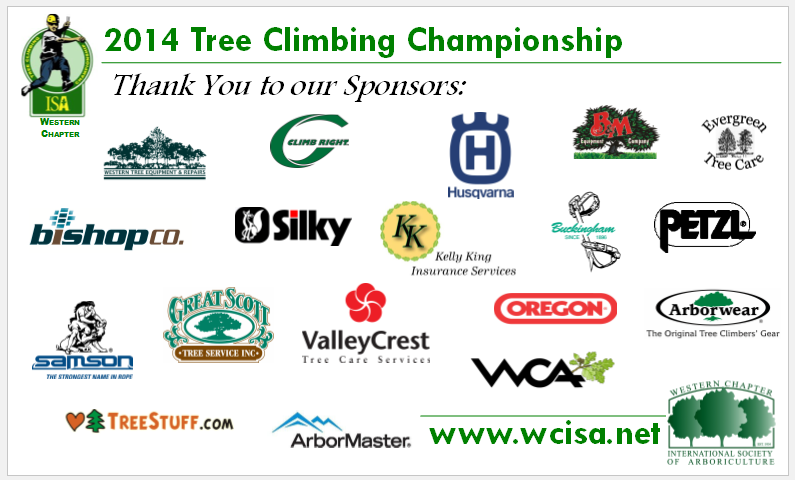 The dates are set for our 2019 Western Chapter Tree Climb Championship. Join us in Rocklin California on June 8 and 9, 2019 for two full days of Arb fun! Come in early and participate in our Annual Day of Safety featuring Jared Abrojena on Friday. Spend Father’s Day with the best tree climbers in the West! Preliminary events will be held Saturday, June 16th with the Master’s Challenge on Sunday. The 2018 champions will represent the Western Chapter in Columbus, Ohio this summer at the International Level. 2016 WCISA Champion, Jared Abrojena, will be hosting a full day climbing workshop on Friday – don’t miss your chance to learn from the best – registration will open soon! Climber registration is open now – sign up today by completing the application form and waiver found at www.westernchaptertcc.com. The deadline to register is May 1, 2018 (or when full). Note to climbers: As a participant of an ISA chapter tree climbing championship you may waive the work climb portion of the skills exam for the ISA Certified Treeworker Climber Specialist certification exam providing you satisfy all other requirements. Congratulations to our 2016 Champions, Jared Abrojena and Rodolfo Baza! Jared will go on to compete at the International TCC this summer in San Antonio, TX. We missed our women’s division this year but will be rooting for our own Jamilee Kempton as she defends her world title in San Antonio. Thank you to our judges, volunteers, and competitors for making the 2016 TCC an awesome weekend for everyone! Congratulations Jared, Jamilee, and Rodolfo, 2015 Champs! 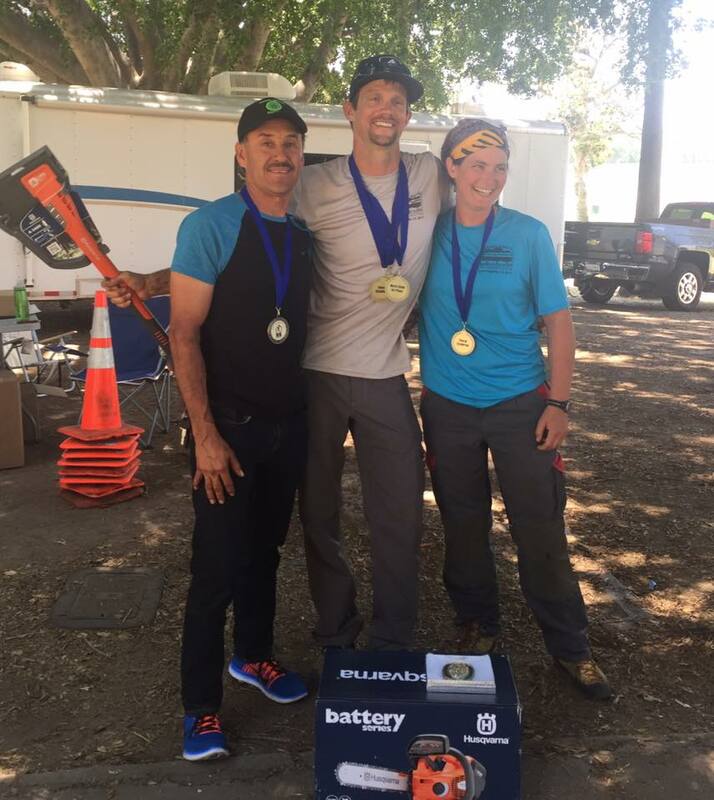 We in the Western Chapter are so proud of our champions Jamilee Kempton (women’s), Jared Abrojena (men’s) and Rodolfo Baza (old timer’s). Great climbs everyone, great friendship and great fun! Jamilee and Jared will join Chad Brey (North American Champion) in representing the Western Chapter at Internationals in Tampa, FL March 21 & 22nd. View the final scoring sheet here.